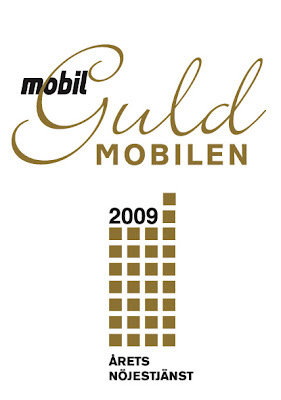 As nominee in the annual Swedish 'the Golden Mobile Awards', 'Guldmobilen', Ghostwire won first price in the category ''Entertainment Service of the year'! The jury stated "For an innovative mobile game, utilizing the latest techniques to create a ghost world, by blending the real and the virtual world". Other nominees where ATG Mobil spel, Bonnier & GB-glass, Absolut, IdolTV and Carlsberg. 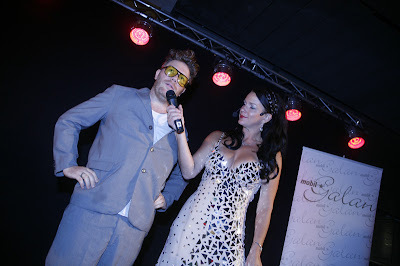 The prize was chosen by a jury, and presented at the traditional gala dinner. 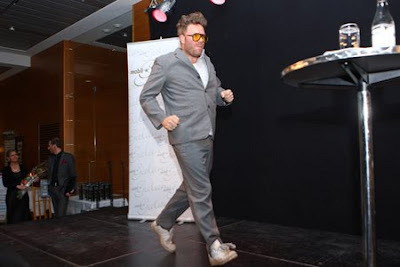 A Different Game Creative Director, and Ghostwire Art Director Anders Bergman lumps on stage to receive the award. Full name: Júlia Fazekas and Zsuzsanna “Susi” Oláh. Born: Júlia: 1868 in Kecskemét, Hungary. Zsuzsanna: 1891 in Nagyrév, Hungary. Died: 1930 (62 and 39 years old). Occupation: midwives. Júlia was the closest thing to a doctor in the small village of Nagyrév, and Zsuzsanna was her assistant. Cause of Death: executed by hanging in Nagyrév, Hungary. Appearance: Both are caucasian women. Júlia is elderly and heavily built. Zsuzsanna is younger and thinner. Both have rope marks around their necks. 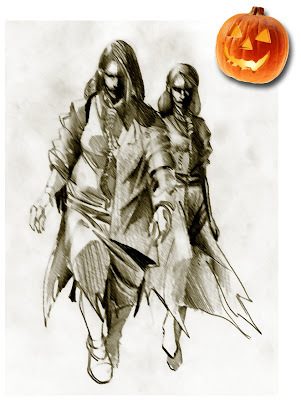 Both are shadow ghosts and quite scary. Personality Traits: Júlia has a strong, fierce, loud personality. Zsuzsanna is more shy and stays in the background. 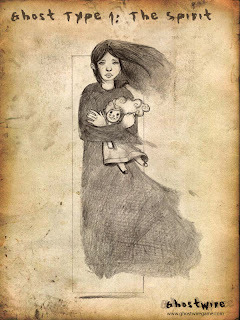 "The Angel Makers of Nagyrév" were a group of women living in the village of Nagyrév, Hungary who between 1914 and 1929 poisoned to death an estimated 50-300 people. They were supplied arsenic from fly paper, and encouraged to use it for the purpose by a midwife or "wise woman" named Júlia Fazekas and her accomplice Susi Oláh (Zsuzsanna Oláh). Júlia is upset because she was framed by someone, but she doesn't know who. Zsuzsanna needs to confess her love and that she framed Júlia. Swedish online game magazine Gamereactor dared to enter the antique goldsmiths workshop where A Different Game resides. They made an interview for their web radio station GRFM, with A Different Game co-founter and Ghostwire executive producer Tom Söderlund, who is also the twisted mind behind Ghostwire. How do you measure success? 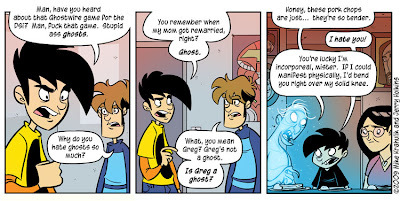 Ghostwire on penny-arcade! We are yet in midst development, and still, we get so much luv! 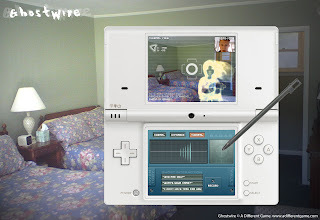 Upcoming augmented-reality game Ghostwire lets you hunt ghosts using Nintendo DSi. Stockholm - June 29, 2009. The A Different Game team announces the first movie clip from the upcoming DSi title Ghostwire. "... it was agreed, that my endeavours should be directed to persons and characters supernatural, or at least romantic, yet so as to transfer from our inward nature a human interest and a semblance of truth sufficient to procure for these shadows of imagination that willing suspension of disbelief for the moment, which constitutes poetic faith." 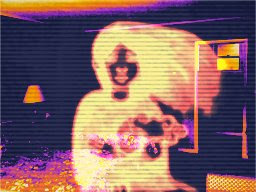 The Ghostwire software claims to enable DSi frequency scanning possibilities beyond the common 2400 MHz Wi-Fi, in the search for paranormal activity. What we haven’t seen before however, is the disclosing of infrared and thermal imagery through the obverse camera when using these possibilities! Viewing this clip, you will be able to appreciate the paranormal activity interaction model, and glimpse a rudimentary version of a stylus-operated inventory. This, amongst other things, indicates that Ghostwire is not just a novelty title, but has comprehensive depth and longevity. Conclusively, the starlet in the clip finds herself under attack from behind from a most unaffable ghost…. Making you jump half way out of your skin, Ghostwire cunningly makes use of the fact that the DSi now have not just one but two cameras, one of which will be much appreciated as a rear view mirror! In reference to the anterior quote, The ADG team juxtaposes the Ghostwire modified DSi software and the supernatural, sufficient to procure for these shadows of imagination. And as always the grand finale ruthlessly leaves you trembling in your socks… They Are All Around You! 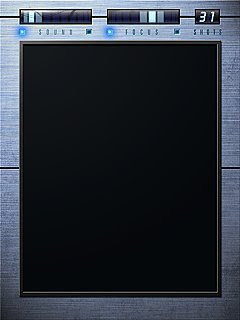 Finally submitted a concept demo to the IMGA jury! Ghostwire is nominated in no less than two categories for the International Mobile Gaming Awards (IMGA) - the "Oscars" of mobile games. The two categories are Excellence in Gameplay and the new Real World Games category. Please go to the IMGA website and vote for Ghostwire (you have to log in to vote, unfortunately)! This is the second ghost type in the game: the Shadow. Slightly less human than the Spirit. Early demonstration of the motion tracking and shape recognition abilities in the Ghostwire game engine. The engine uses a heavily modified version or ARToolkit, designed and built by our software wizard Martin O. Here is a first sketch from our talented artist Patrizio. 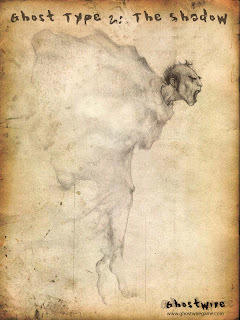 There will be a couple of different types of ghosts in Ghostwire, and the spirit is possibly the most human of them all.